How do you top saving one world in The Avengers? How about saving a whole bunch of different worlds all at once? 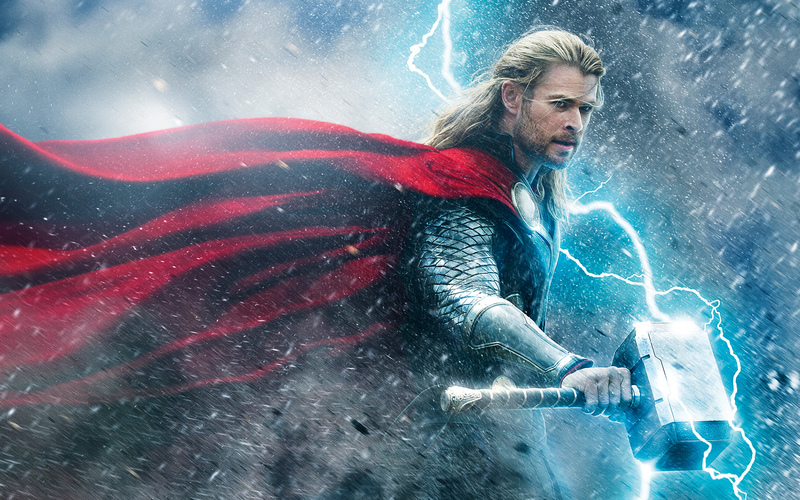 That seems to be what's at stake in the next Thor movie, Thor: The Dark World, which expands its reach by taking us to new worlds and introducing us to new foes outside of both Earth and Asgard, even though Thor's (Chris Hemsworth) two main homes still play a very big role in the movie. This trailer is pretty much what was shown at San Diego Comic-Con last month, and it's one that packs a more dramatic punch than anything else. There's a moment of humor at the very end (which is different from the frightening, spoilerish finale of the Comic-Con trailer) and also when Natalie Portman (returning as Thor's sometimes-girlfriend Jane Foster) slaps Thor's evil brother Loki (Tom Hiddleston) across the face, exclaiming, "That was for New York!" Loki then laughs it off, turns to Thor and says, "I like her." New York, of course, refers to what happened at the end of The Avengers, and unlike that movie Thor: The Dark World definitely looks to be bringing a bit more serious to the table. Don't expect the entire film to be some meaty action drama, though, because another action scene previewed at Comic-Con definitely had a lot of humor in it. And hey -- Rene Russo even gets her fight on in this! That right there is worth the price of admission, am I right? In theaters November 8, Thor: The Dark World finds our heroes battling dark elves and the villainous Malekith, as well as the always-difficult Loki, who's definitely up to his usual shenanigans. Check it out below and let us know what you think.